This is the question that author and historian Nick Bunker has for the people of the greater Philadelphia area. The subject of his latest research and novel, Benjamin Franklin, is a figure so deeply saturated within the American cultural canon that his name alone invokes images of bald eagles and camo-print tactical gear. Even as a native Brit, Bunker understands the ubiquity of Franklin’s legacy. — the highest for nonfiction history — and was also a finalist for the Pulitzer Prize for History. On Wednesday, Bunker traveled all the way from the United Kingdom to join history-savvy students in Chamberlain Student Center Room 221A to discuss his latest nonfiction novel, “Young Benjamin Franklin: The Birth of Ingenuity.” In an event cosponsored by the history department, the Student History Association and Phi Alpha Theta history honors society, Bunker provided a lecture on one of Philadelphia’s most prolific historical figures. 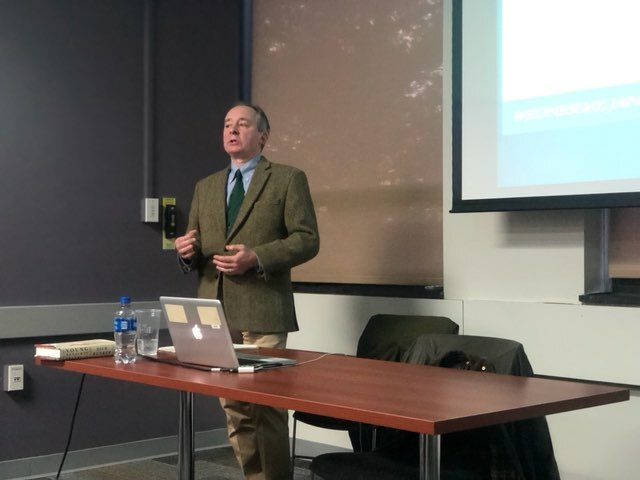 Dr. Stephen Hague, an instructor within the History Department who specializes in teaching modern European history, gave opening remarks prior to the lecture. 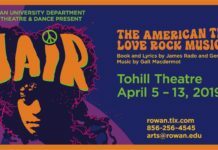 “This is a really great opportunity to not only hear about Franklin in particular and Franklin’s role in science, really bringing together things of interest to the Rowan community, but also to learn about the process of history,” Hague said. While many historians have placed great emphasis on Franklin’s roles as a political leader and organizer in America’s early independence, Bunker believes that it was Franklin’s role as a scientist, and particularly his work with electricity, that catapulted his status among American society. According to Bunker, it was physics alone which granted Franklin the international reputation necessary to serve as a leader in other capacities. While some work in physics is done to perform some practical application, Franklin’s work was borne out of a curiosity fostered by his upbringing and early personal life. Bunker’s focus on Franklin’s scientific work as a linchpin of his overall historical legacy reflects a nuance to Bunker’s work that is often overlooked within academia. Bunker and Franklin find some common ground in their versatility of skillset. After graduating from Cambridge University, he undertook careers in both banking and finance journalism before becoming a working historian and author. All sales of the book, which were available for signing, benefited Phi Alpha Theta.